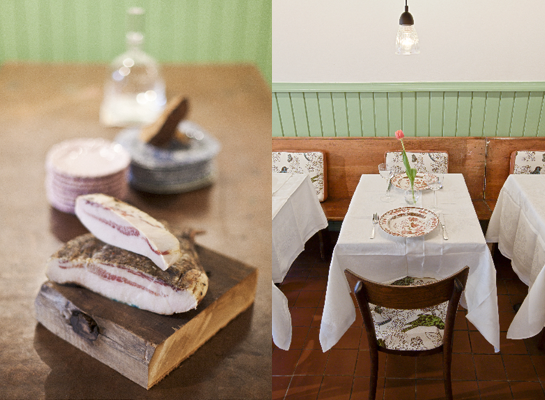 Bondir has now been open for 2 years, and a colleague recommended I check it out last summer. After raving about Bondir for over a year, I finally decided to head on over and try it out myself...and thank goodness I did. After dinner on Friday, Bondir has moved into my top 5 Boston restaurants; everything was prepared and plated perfectly. 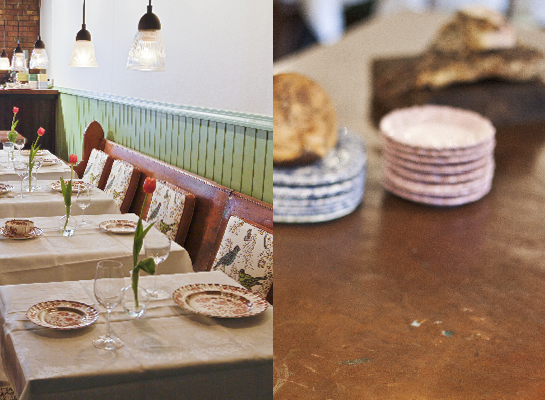 A 10-minute walk from Central Station, Bondir is a cozy 28-seat spot created by chef Jason Bond. The menu changes daily and features fresh organic produce and meats predominantly sourced within a 45-minute radius of the restaurant. They offer both half and full-portions of almost everything on the menu, which is excellent if you can't make up your mind easily (or if there are too many delicious items to choose from)! My date and I happened to order the exact same meal...half portion of the scallops & a half portion of the chicken, and both of us were perfectly pleased with our choices. The scallops were perfectly executed with an amazing punch of flavor & smooth textures: Scituate scallops with spelt flour spaetzle, caraway carrots & a sage froth. Our chicken was outstandingly original & memorable (as I'm salivating writing this): Smoked tea braised red broiler chicken with spaghetti squash & apples, roasted with guinea hog lardo, and an eggplant fritter. At this point we were satiated, we figured we would just glance at the dessert menu & not order. But then, as we were scanning the menu, we realized we would HAVE to order dessert. My date went with the smoked salt chocolate & peanut gelato while I went with the elderberry & huckleberry semifreddo with rose geranium, angel food cake, red wine frozen mousse, blueberry jellies, blueberry leather laced through the center, and a juniper froth. Tasty and light, this refreshing dessert hit the spot. As we reflected on the tasty meal we had just enjoyed, we munched on some candied and mashmallow-ed angelica. Needless to say, I will definitely be back.